Pankaj Singh created this footlight from a tiny honey bottle and a LED powered by calculator cells. In the darkness the little lights look a lot like glowing cubes, and when placed facing a wall they create a pattern that resembles the sun’s nebulae! The little lamp will glow for at least 4 hours. Pankaj used the lights as an alternative to oil lamps as he celebrated this year’s Diwali, the festival of lights. 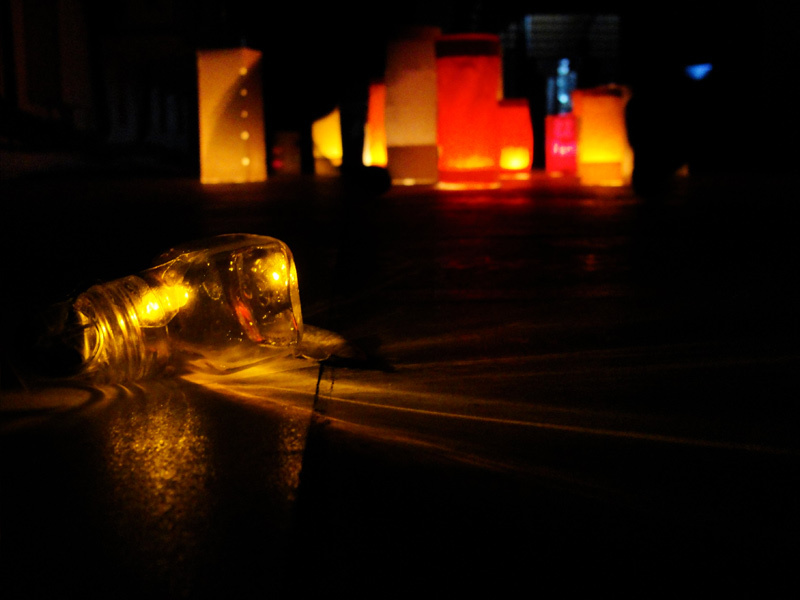 Pankaj Singh created this footlight from a tiny honey bottle and a LED powered by calculator cells. In the darkness the little lights look a lot like glowing cubes, and when placed facing a wall they create a pattern that resembles the sun's nebulae! The little lamp will glow for at least 4 hours. Pankaj used the lights as an alternative to oil lamps as he celebrated this year's Diwali, the festival of lights.